Sarah Simmons is a digital marketing consultant in New York City. She told us, "I live to eat. No, waitI live to watch other people eat food I've made." Sarah's taste is adventurous (bourbon-balsamic ice cream), and she loves her food processor so much that she gave it a name (Francine). One of her friends told us, "Sarah regularly feeds an army of New Yorkers who are overworked, underfed and yearning for a home-cooked meal." 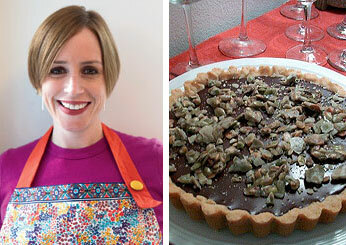 At left is her Bittersweet Chocolate Tart with Pumpkin Seed Brittle. Photo of Sarah © Rebecca Stepler. Photo of dessert © Sarah Simmons. 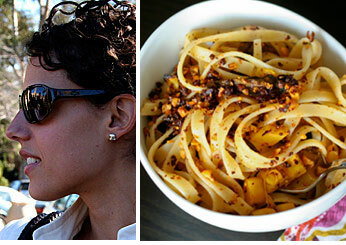 Melissa Ainslie, of Miami, blogs about her cooking adventures at bitchincamero.com. At left is her squash, chorizo and hazelnut pasta. Kat Teodosic, from Detroit, decided to caramelize carrots for the first time at the age of four and attempted croquembouche at age 11. 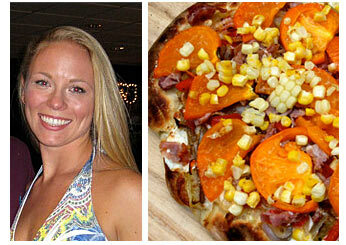 At left is her Best of Summer Harvest pizza, featuring corn and tomatoes. Sharon Robustelli is a full-time mother who began a rewarding career in catering after getting laid off from her marketing job. 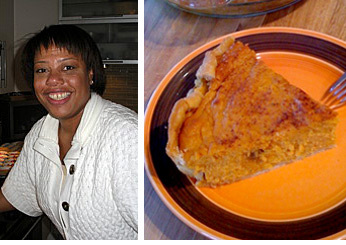 Here is her sweet potato pie. 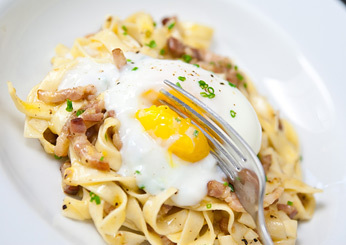 Marc Matsumoto, from New York City, takes incredible photographs of dishes he's prepared, like his pasta carbonara. He names Ferran Adrià and Grant Achatz as his food heroes. Jeanine McAnaney is a pilot and Air Force Reservist living in Northern California. 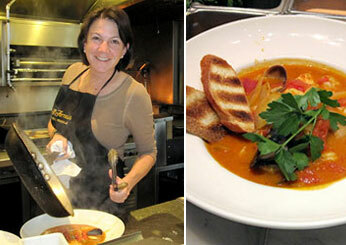 Interested in learning new techniques and recipes, Jeanine took a cioppino class at a local restaurant, Il Fornaio (photos, left). Virginia Taylor once cooked for 300 people for her friend's wedding. 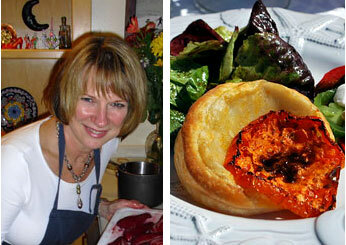 At left is her heirloom tomato tart with Niçoise olive tapenade and mixed field greens in a basil vinaigrette. 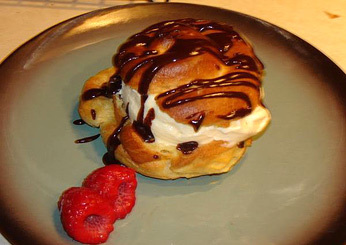 Profiteroles made by contestant Heather Christensen. 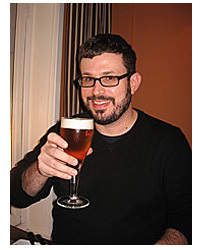 Michael Martinez brews his own beer and once hosted a Southern-inspired dinner with beer pairings.